After our introduction of Italian wine zones, subdivision and denominations we decided to make a deeply description for each zone considering and indicating the most important places, giving also the references for the most relevant and principle wine sellers. Second area is always in Friuli Venezia Giulia region, in the North-East of Italy and is called Carso. 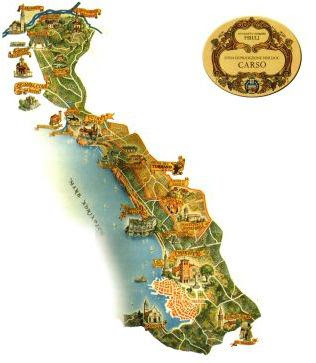 Carso is a wine region in the far southeastern reaches of Italy's most northeastern region, Friuli-Venezia Giulia. It sits on the Istrian Peninsula, bordering Slovenia, between the Isonzo river and the city of Trieste. The land here, interspersed by subterranean watercourses, is unique in character and incredibly challenging to cultivate, but offers plentiful rewards for those who try. A shallow layer of red earth, covering a mostly rocky type of soil, and no surface river. These conditions, combined with the proximity to the sea and the marked windswept, make Karst an ideal "terroir" for the cultivation of vine. Thanks to a harmonious territory, not extensive and characterized by a landscape that has not changed over the centuries, there are several high quality wines that can boast a karstic DOC. First of all the indigenous Vitovska, Malvasia, Terrano and Glera primordial, but also Chardonnay, Sauvignon, Merlot and Refosco from the Red Peduncle. 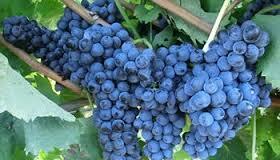 The origins of the karst vines are very ancient: Pucino wine was decanced from the Romans by Pliny the Elder. In medieval times and in the following centuries, large quantities produced here were provided to the reigning rulers, from the Dogs of Venice to the Habsburgs of Austria. With the passing of centuries and with the expansion of urbanization, hundreds and hundreds of hectares of vineyards have been lost, and some indigenous varieties, but the ancient primacy that has been handed down to us, finds the ideal continuity and testimony in today's young winemakers who, with passion and care for these harsh lands, cultivated even on terraces and pastries, want to bring the Karst to the ancient splendor. 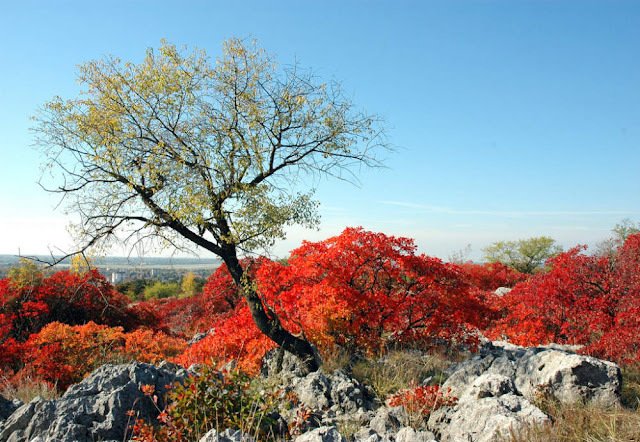 The region's geology is so distinct that its name, Carso, shares the same etymology as the karst landscape that defines the area – the word karst comes from the German name for the area, Kras. A karst landscape is formed by water carving through rock – in this case limestone. The result is a stony terroir shot through with underground caves and cavities, some of them collapsed, and very little in the way of topsoil – a situation that makes the land very challenging for growers. Ingenuity has made viticulture possible here, then, rather than the natural aptitude of the land. 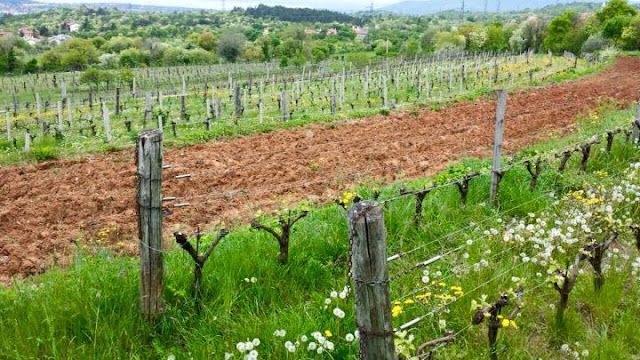 Red, iron-rich soil is excavated from the region's caves and laid over top of soil trucked in from Trieste – an expensive labor of love that has been practiced by Carso growers for years. This creates a topsoil for the vines that retains water and contributes sufficient nutrients for grapegrowing, essentially transforming the inhospitable landscape into a balanced terroir. The long, thin region has a dual climate, which brings a special touch to the terroir. The strong Bora wind blasts through the high altitudes of the upland, bringing fiercely cold temperatures and vigorous winters. Lower down the slope, towards the sea, a Mediterranean climate dominates. The surprising factor is that a distance of only a few hundred meters separates the two areas. Despite the challenge wine producers face in cultivating this land, the exceptional wine produced in the area is definitely worth the hardship. Important things to see: Environmental, archaeological, food and wine, artistic. Terrano is a DOC wine of the Carso that is produced with a vine from the family of Refoschi. This wine with all its characteristics is typical of the land of the Carso. Here, on terraced terraces, stolen from the rock overhanging the sea, this product is born that is now the classic wine that accompanies the typical Karst recipes that can be enjoyed at the "Osmizze". 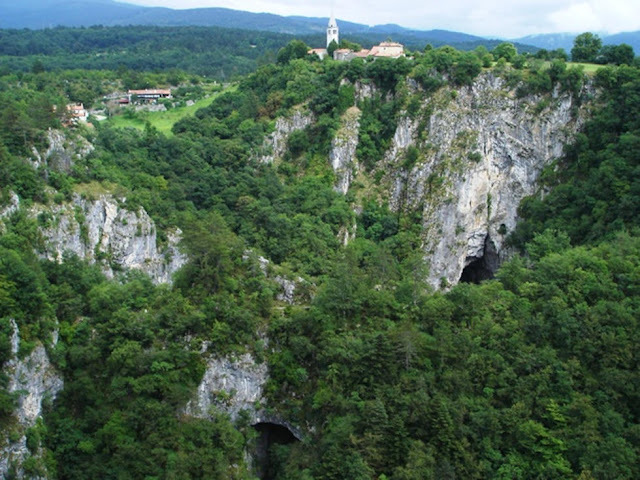 To make it known about these aspects of Karst hospitality, it was thought to create an itinerary that would help to make known and promote local food products. It was born in 1986, sponsored and sponsored by the Province of Trieste, the "Terrano Wine Road", to which around twenty restaurants and taverns featured typical examples of the cuisine of these places. The two-way route is 18.5 km long and dotted with numerous signs that help track the route. It starts from Zolla (Col) in the municipality of Monrupino (Repentabor) and leads towards Villa Opicina (Opčine), a hamlet of Trieste, where an obelisk remembers the construction of the Trieste-Vienna railway. From here you take the high Karst and cross the various villages of: Repen, Borgo Grotta Gigante, Rupinpiccolo, Sgonico, Gabrovizza, Sales, Samatorza, Ternovca, Prepotto, San Pelagio, Precenico, Slivia, Malchina, Visogliano, near Sistiana. After the Commune of Trieste, you enter the territory of Monrupino (Repentabor), where the ancient Sanctuary of the Assumption was established, already a Roman castle and fortress, dating back to 911 d.C., at the time of ungarian incursions. The karst territory offers evocative aspects, which can be particularly admired in the Regional Natural Reserve of Monte Orsario. In the succession of the hamlets you enter the municipality of Sgonico (Zgonik). The territory of this municipality offers many interesting aspects, among which the naturalistic one imposes through the famous Giant Grotto, with the annex of the "Speleology Museum", and with the "Botanical Garden" “Carsiana”. 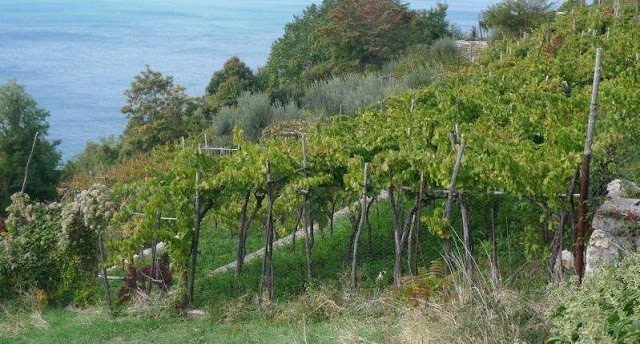 The Terrano Wine Route ends in Visogliano (Vižovlje), located near the bay of Sistiana, in the municipality of Duino-Aurisina (Devin-Nabrežina). Sistiana Bay is a natural creek, a famous place for bathing and pleasure sailing. From here the Rilke trail, from the name of the well-known Austrian writer, allows you to make a wonderful walk on the cliffs that stand on the sea, with glimpses and beautiful colors. It leads to the famous Castle of Duino, which, overlooking the sea, creates a very suggestive scenery. Along this itinerary, there are the various taverns that adhere to the project, marked with a special table representing a stylized cluster. Here, in addition to the Terrano, you can enjoy various karst dishes, among which many other typical products in the area, such as Carso oil, Vitovska wine, Tabor and Monte Re cheeses, raw ham, hand cut and the cooked one, always hand cut and served with mustard and cinnamon (cren). Unique to Carso is the leading red variety, Terrano, which is related to Friuli's key red variety, Refosco. Terrano wines reflect the iron-rich soils through their mineral notes and deep red color, a distinguishing feature which gives this wine the nickname Sangue del Carso. The effects of the terroir have led to some doctors prescribing the wine to cure digestive problems, and for those with iron deficiencies. Particularly low in alcohol and often redolent of violets and raspberries, these wines are known for their piercingly high acidity – making them ideal matches for Slavic-style cuisine. Viticultural characteristics: Mid to late ripening. resistant to late frosts and major fungal diseases. An unmistakable, low-alcoholic and fragrant wine with intense ruby red color and a wide scent that recalls the berries, particularly blueberry, raspberry and blackcurrant. It accompanies various game dishes, meat dishes, and especially karst ham. 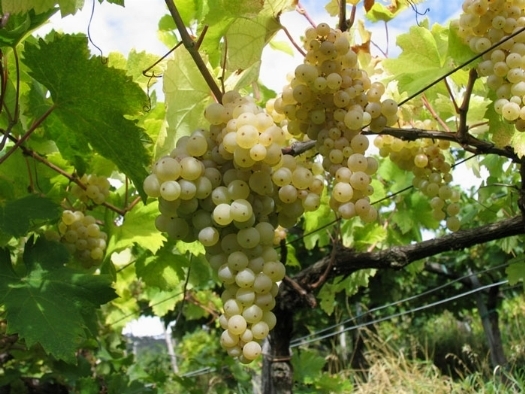 The leading white grape is Malvasia, which was introduced by the Greeks to this area and the neighboring Istria. Wine made from this variety displays recognizable honey-almond notes, a distinct fragrance and tangy characteristics. Viticultural characteristics: Easy to grow, vigorous, reliable good yields and not notably susceptible to any diseases except powdery mildew. It is adaptable in terms of site but produces better quality on lighter soils. Mid to late ripening. Berries can achive high sugar levels but acidity is generally moderate. Varietal wines vary enormously in style, from full and powerful, sometimes oaked and a little spicy, to more taus, zesty and refreshing examples, most of them having a certain lightly honeyed tang about them. They often have a slightly green cast and seem generally feresher than many other varieties, although the alcohol can reach intrusively high levels. It is a specific variety of the Carso. Its name could derive from local Slovenia dialect, or from the village of Vitovlje in the Vipavska Dolina region. 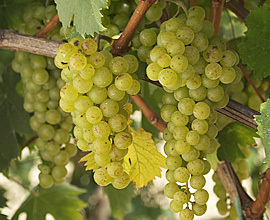 DNA parentage analisys has recently found that Vitovska is a natural cross between malvasia bianca lunga and prosecco. Viticultural characteristic: Mid ripening. A hardy variety that is resitant to winter frost and summer droughts. Large triangular bunches weighing up to 1 kg each. An indigenous variety closely linked to local territory and local traditions, almost unknown in other Mediterranean regions. Resistant to snow and "Bora" wind, it produces a fine, elegant, moderately alcoholic, straw-colored wine with a delicate scent of karstic and hayfield flowers. Dry, with almond aftertaste, is very used as an aperitif wine and is good for all appetizers, prime dishes, delicacies and light fish. fromitalywithwi.com, we haven't any responsability about what reading people will do with contents . Travel theme. Powered by Blogger.